WASHINGTON — The number of migrants asking the United States for asylum out of fear of returning to their home countries jumped nearly 70 percent from 2017, according to Department of Homeland Security data released Monday, despite Trump administration efforts to limit refugees. 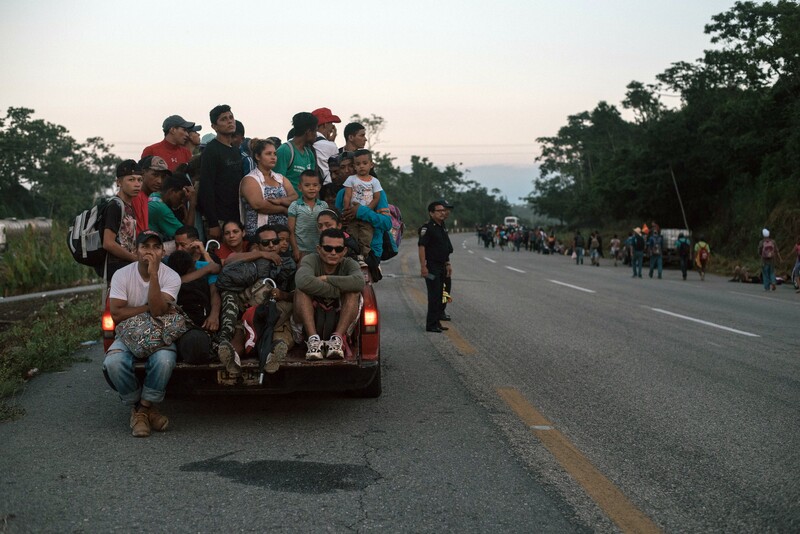 Nearly 93,000 asylum-seekers who crossed the border illegally or turned themselves in at official ports of entry in 2018 cited a credible fear of being targeted because of their race, religion, nationality, political opinions or social group. That is up from nearly 56,000 migrants who asked for asylum last year because they feared returning home, the data shows. Nearly 60 percent of all foreigners asking for asylum were people in families, according to officials with Customs and Border Protection, an agency within the Department of Homeland Security. Agency officials attributed the increase to smuggling organizations that exploit migrants’ hopes with assurances that they will be able to stay in the United States if they falsely claim they fear going home. Immigration advocates, however, said the rise in asylum claims is a result of tens of thousands of people fleeing violence in Honduras and elsewhere in Central America. Homeland security officials said the increase in migrants at the southwest border had overwhelmed an antiquated system that was not intended to handle large numbers of people at a single time. Kevin K. McAleenan, the Customs and Border Protection commissioner, said a “majority of these claims will not be successful” in the immigration process and called on Congress to overhaul the system. Since taking office nearly two years ago, Donald Trump has railed against what he calls weak laws that allow migrants who are caught crossing illegally to claim asylum under false pretenses so they can be released into the United States. Because of a backlog in the immigration courts, migrants can sometimes wait for years for a judge to determine the validity of their asylum claim.